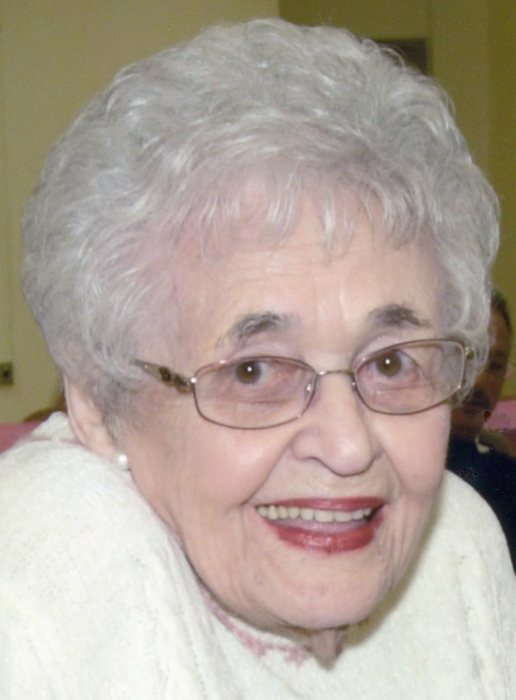 Obituary for Anne (Bobko) Anos | Kirila Funeral Home, Inc.
A Divine Liturgy will be held on Wednesday, April 17, 2019, at the Infant Jesus of Prague Byzantine Catholic Church for Anne Anos passed away peacefully at Canfield Place, she was 98 years old. Anne was born in Hope PA and moved with her family to Struthers, Ohio. Anne is a lifelong resident of Struthers where she made her home with the love of her life, her husband James, "Jimmy" Anos. Anne was a 1938 Struthers High school Graduate and began her career at General Fireproofing then transferring to US Steel working in the Lab for 35 years. Anne met Jimmy and they were married October 31, 1942. They had a wonderful 38-year marriage; until his unexpected death Sept 30, 1980. Anne was devoted to her family and enjoyed spending time with her nieces; Martha Fabian (Charles Fabian) now in Dayton, and Nancy Motsko (Sam Motsko) of Poland. Anne was devoted to her church and loved her pets. Anne is preceded in death by her Parents; Martha Labas Bobko and Michael Bobko. Her siblings; infant brother Johnny Bobko, Sister Mary Flickinger, and Brother Michael Bobko. Visiting hours are on Wednesday, April 17, 2019, from 10-11 am at Infant Jesus of Prague Byzantine Catholic Church 7754 South Avenue in Boardman. Burial will be in St. John Cemetery, 3900 Villa Marie Road, Lowellville, OH.